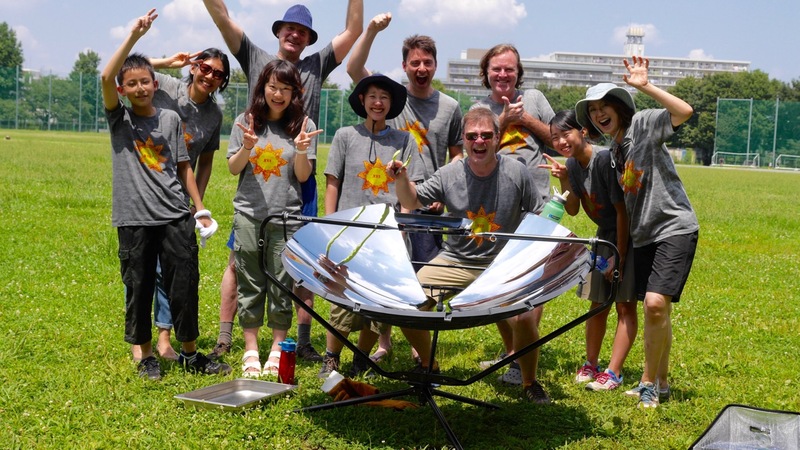 Robin Kwasnica lives in Tokyo as a teacher, and has been fascinated by the concept of solar cooking for many years. 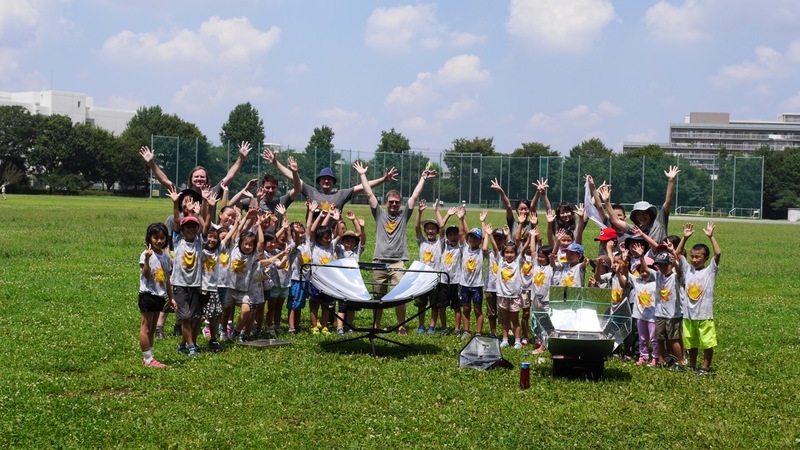 Last summer, his school LEXIS in the Japanese metropolis Tokyo arranged a summer camp with the theme “Here comes the sun”. Topics included the solar system, sun worship in history and solar cooking. Kwasnica had wanted to show the children solar cooking in action, but it was hard to figure out how. “I had been looking into parabolic solar cookers for some time, but most of the options on the market were either too flimsy, too heavy, or too awkward to use easily. Once I found the SolSource from One Earth Designs, I couldn’t help but buy one. Weight, strength, and ease of use all came together in one package”, he explains. Now, Kwasnica only needed sunlight to show the children solar cooking in action. 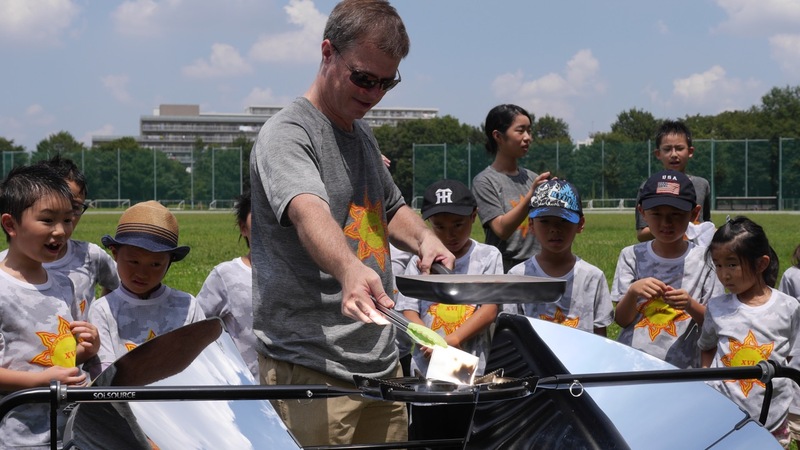 However, as the summer in Tokyo had been a cloudy one, he was anxious he would have to fire up the BBQ on their park day instead. Luckily, in the midst of a rather grey week, Mother Nature came through and gave Kwasnica and the children a glorious day for cooking with SolSource. “We managed to cook up 45 hot dogs in record time and we had a fantastic lunch together. Everyone was impressed with the power of the grill”, he recalls. In addition to providing lunch, Kwasnica wanted to show the children the sheer power of solar energy. Soon, not only the children were interested in seeing what was going on with the huge parabola that was set up for cooking. “Many people in the park were very interested in the grill and I spent a lot of time explaining how it worked”, Kwasnica says. 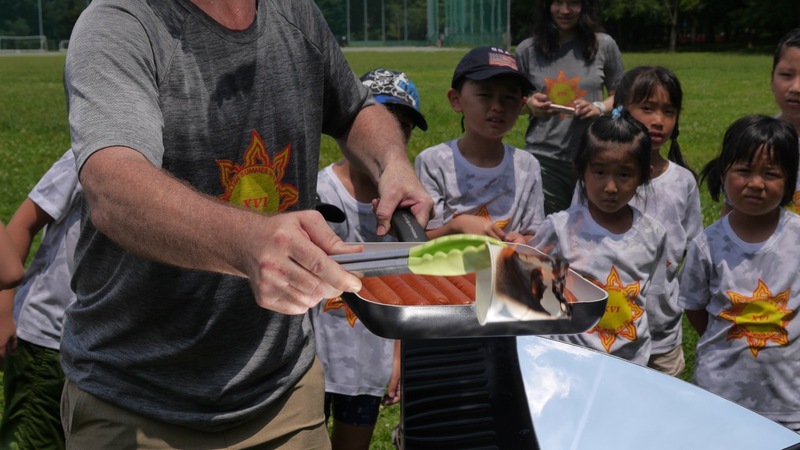 After the successful use of SolSource both as an educational tool for children and a cooker, Kwasnica plans to bring his SolSource out to more parks in Tokyo, even though park staff might question what he is doing. “I look forward to arguing with the park staff about the use of open flames and have them walking away scratching their heads”, he smiles. 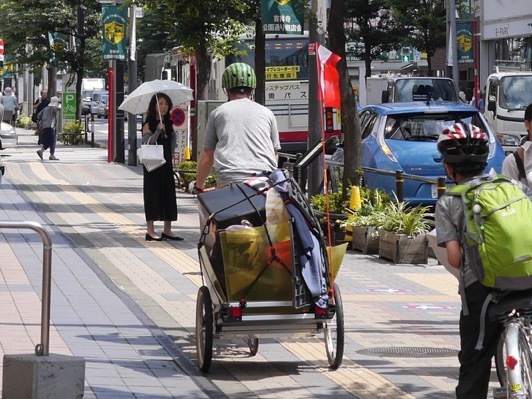 Kwasnica also came up with the ingenious idea of disassemble the parabola into two halves and put it on his bicycle trailer (see picture).